Q. How can I send a suggestion/comment/concern to the library? Suggestions, comments, and concerns can be submitted to the library by filling out the “How are we doing” form, found on the library's main webpage. We care about your Berkeley College Library experience and provide this form as a means of monitoring and improving our services. Enter your comments in the designated box. 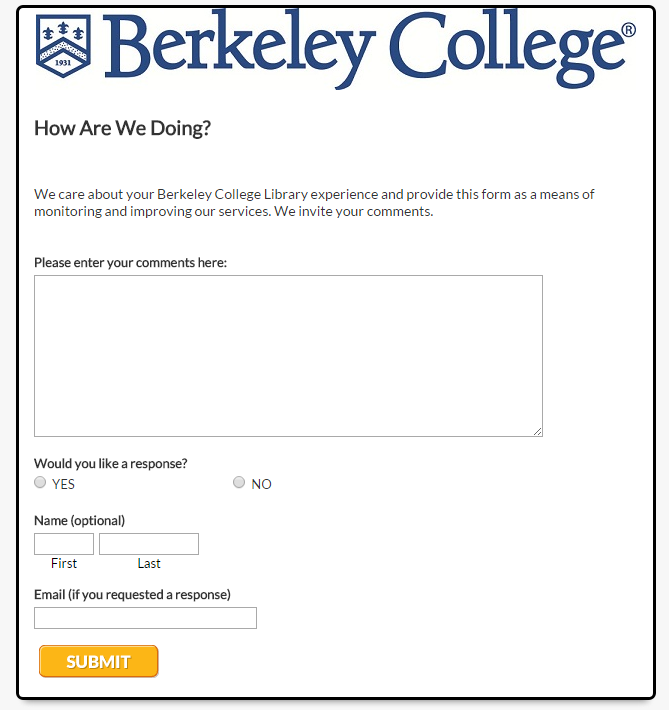 Make sure you enter your Berkeley College email address if you would like a response. To chat with a librarian directly click here.